The new tax code has started changing the way companies do business. But how will it change our taxes? The tax code changes will apply to your 2017 taxes and while most of you will pay lower taxes for the short haul because of lower tax rates and higher standard deductions. The loss of some of our favorite tax deductions and the new deduction limits such as SALT could result in a higher tax bill in 2019, especially for those taxpayers living in states with the higher tax rates (city income tax, state income tax, high sales tax). In time, some of the benefits of the new tax law will disappear and most of us will end up paying more within the next 10 years. With the new tax code, most of us will move into a lower tax bracket, so if you were in the 22 percent tax bracket you may now be in the 20 percent tax bracket. The new tax code also doubles the standard deduction to $12,000 for individuals (including married filing separately) and $24,000 for joint filers. If you are 65 you can add $1,600 to your standard deduction if you are single or $1,300 if you are married. Also if you are filing head of household your deduction will be $18,000 (almost double the $9,550 for 2017). For the 2018 year ONLY you will be able to deduct medical bills that equal 7.5% of your adjusted gross income. The percentage changes to 10% for the 2018 tax year. Other benefits include a larger child tax credit. Increase in standard deduction to $24,000. 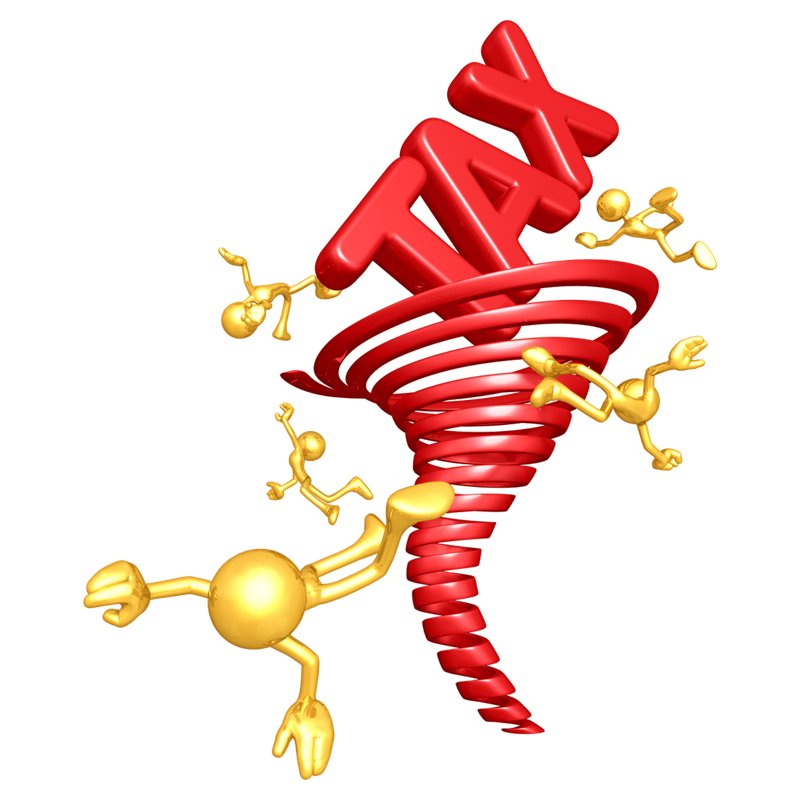 Single taxpayers and those who are married and file separately can deduct $12,000. For heads of households, the deduction is now $18,000. Child tax credit is $2,000. Changes to the limit for 401Ks, 403Bs, Thrift Savings Plans, and IRAs. The tax experts themselves are still reviewing the new tax code to determine exactly how it will affect us all. We will try to keep you all up to date on the best strategies for saving your tax dollars. For now, we are sticking with our original advice. Continue to contribute as much as you can to your HSA and your retirement account (whichever you have). If you have younger children consider contributing to a 529 plan. You can now use your 529 for private school starting at kindergarten or even for education expenses at public or religious schools. You are allowed to withdraw up to $10,000 per year per child for educational costs. As always, we are here to help with any tax problems or questions. Work directly with Enrolled Agents with more than 29 years in business and the experience that counts. Tax Professionals with A+ rated service that has never had a single complaint in 29 years. A Consult is free and could save you thousands.